The Habitual Offender Scheme is designed to penalise people who commit repeated serious traffic offences, such as drink driving and dangerous driving. 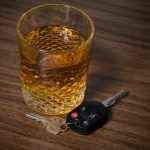 If you are declared a habitual offender, you will face more serious penalties for subsequent drink driving offences, including extended disqualification periods. 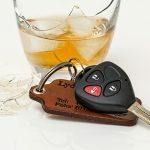 An experienced drink driving lawyer can help you avoid being declared a habitual offender, and if you already have been declared a habitual offender, your lawyer may be able to apply to have the declaration quashed. A habitual offender is someone who has committed three serious driving offences within a five-year period. As well as drink driving, there are a number of other serious driving offences that can lead to a habitual offender declaration, including dangerous driving, driving while disqualified, reckless driving, exceeding the speed limit at more than 45 k/h, and drug driving offences. To be declared a habitual offender, you do not have to have committed the same offence three times, being convicted of a range of different traffic offences can qualify you for habitual offender status. A habitual offender can be declared through either the Roads and Maritime Services (RMS), or the NSW courts. What are the consequences of being declared a habitual offender? If you are declared a habitual offender, the court will seek to impose more harsh penalties on you for drink driving, or any other driving offences. There is an automatic disqualification from driving for five years for the third major traffic offence within five years. Each additional major traffic offence will result in an extra five year habitual offender diqualification period in addition to the court imposed disqualification. For example, if you are a habitual traffic offender and drive whilst you are disqualified, you will be liable for a two year court disqualification and an extra 5 year habitual offender disqualification period that is imposed by the RMS after you leave court! Being unable to drive for an extended period of time can significantly affect your lifestyle and fulfill other family obligations, such as driving your children to and from school. It can also affect your ability to carry out regular employment, especially if you are required to drive as part of your normal job, and this can have a serious financial impact on you and your family. 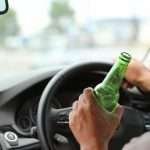 How can a drink driving lawyer help? 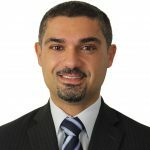 Due to the serious consequences of being declared a habitual offender, it is advisable to take steps to have the declaration quashed, and an experienced drink driving lawyer can assist you in this process. 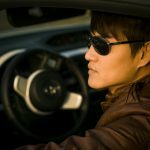 If you are advised that you are about to be declared a habitual offender, or if you have already received notification, speak to a drink driving lawyer who has a track record in this area as soon as possible. 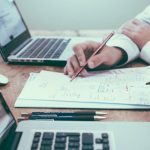 In many cases your lawyer will be able to appeal to the court or the RMS in writing and request that your habitual offender declaration be lifted. If your lawyer can argue that the disqualification period imposed is disproportionate to the crime or likelihood of you reoffending, and that it is unjust, you may be successful in having the declaration lifted.